Effective solution to live streaming from tennis tournaments. Modern technology right on the tennis court for a more effective training. We analyse your game and find your strengths as well as your opponent’s weaknesses. How can VistaSport help you? VistaSport will enable you to focus on the most important thing – on your game. Everything else is on us. Thanks to modern technology we are helping to improve the tennis environment not only in the Czech Republic, but also in the whole of Europe. Our technology enables simple streaming of tennis tournaments; we offer to the organizers a complex online tool for the management of the tournaments. We also offer expert analyses to individual players as well as a unique technology of the training court. Smart solution using a camera system for live streaming of tennis matches as well as for recording them. Video, which is filmed with a special camera, is transmitted directly on the Internet and it is easy to watch it on your PC, tablet or mobile phone. 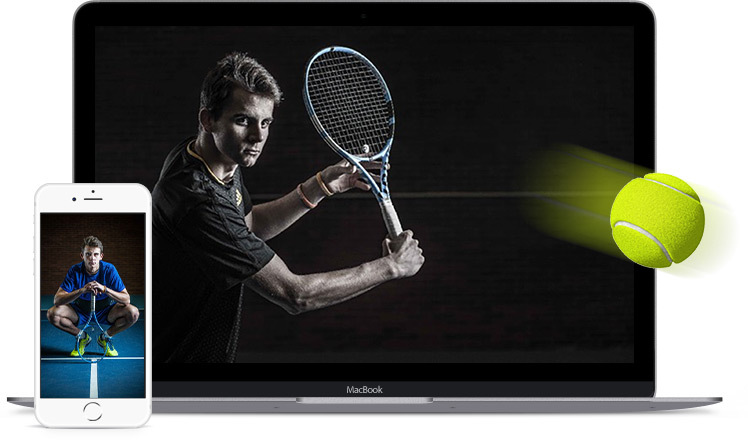 Watch live stream of tennis tournaments online, or browse the extensive archive of tennis matches. VistaTV is your gate to the world of junior tennis. Each month you can also read the favourite magazine Fifteen/Fiftýn. Three cameras with synchronised recording enable the coach and the player in real time to work with the video. The benefit is increased effectiveness of the training and a faster progress in the play. It also brings about increased motivation. Detailed analysis of the performance makes it possible to identify strengths and weaknesses of the player as well as his/her opponents. The analysis is based on video recordings and it is a useful tool for effective coaching and planning of the whole training process. You don´t need to worry about constant rewriting of the draw or about the management of the tournament . You will get a reliable online system to publish the results, therefore you can focus more on watching the players, or other duties.